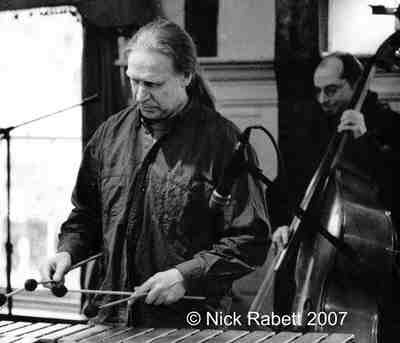 British vibraphone virtuoso Roger Beaujolais� glassy toned vibes playing is agile, fresh and inventive. He writes crisp idiomatic themes and chooses his material with great taste. Mark Lockheart saxophone, Robin Aspland piano, Simon Thorpe bass and Winston Clifford drums provide an extremely sophisticated backdrop for Roger�s astonishing technique.